Thursday, November 15, 2012 . I am so excited to have Virginia Willis with us today! She has cooked Lapin Normandie with Julia Child, prepared lunch for President Clinton, and catered a bowling party for Jane Fonda. She began her culinary career tossing pizzas in college, has since foraged for wild herbs in the Alps, made mustard in Dijon, crushed olives in California, and harvested capers in the shadow of a smoldering volcano in Sicily. Virginia has produced over 1000 TV episodes, working for Martha Stewart, Bobby Flay, and Epicurious on The Discovery Channel. She has been featured in USA Today, Country Living, and House Beautiful as well as Food52 and CNN.com. She is a contributing editor to Southern Living and her writing has been published in Family Fun, Fine Cooking, and Taste of the South. She has appeared on Martha Stewart Living Television, Paula Deen’s Best Dishes, Real Simple Television, The Weather Channel, and Thrown Down with Bobby Flay. 2 sprigs thyme, for garnish. 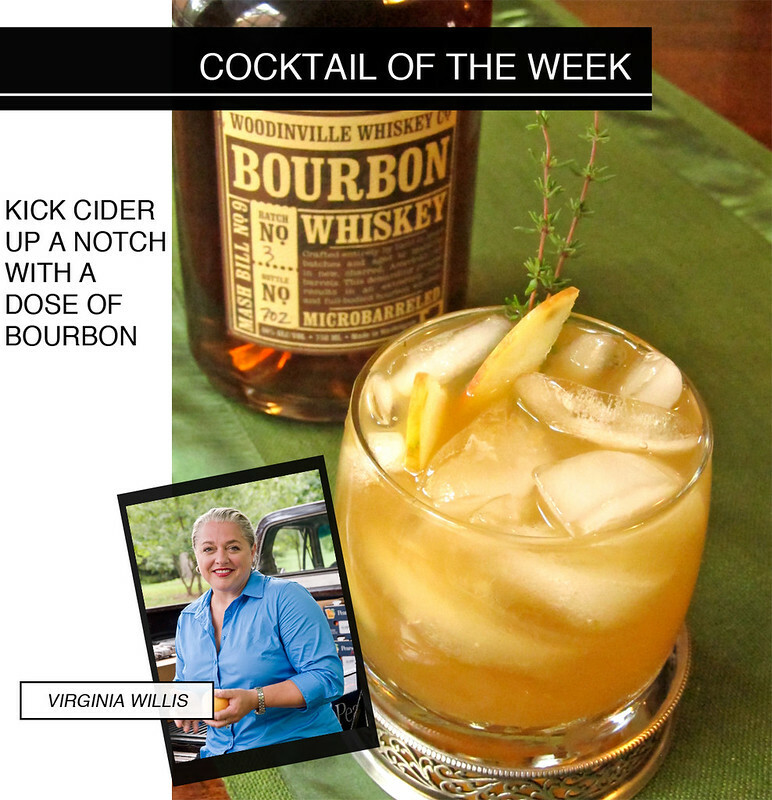 Combine apple cider, bourbon, and lemon juice in a shaker. Shake to combine. Pour into rocks glass over ice. 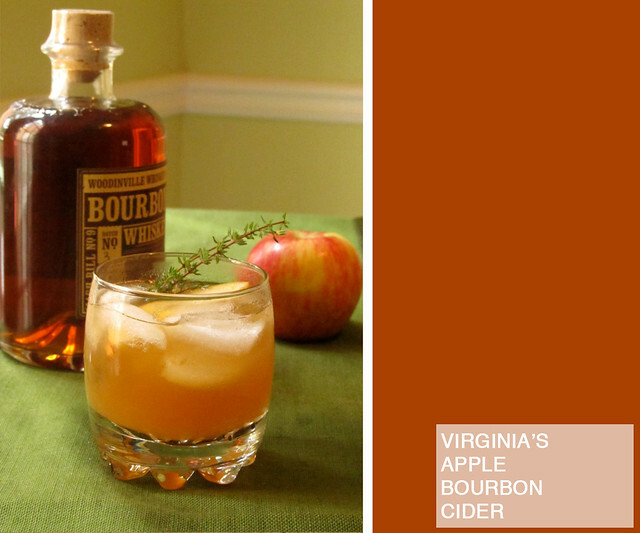 Garnish with ginger, apples, and thyme. Enjoy!